St. Patrick's Day is both a cultural and a religious holiday named after the famous saint who some people believe drove the snakes out of Ireland. Whether you're Irish or not, it seems like nearly everyone celebrates this holiday for one reason or another. 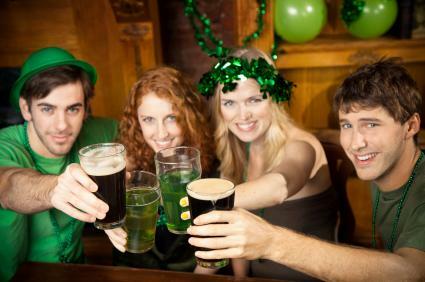 Feel free to take advantage of these St. Patrick's Day party ideas and plan your own gathering. Although St. Patrick's Day falls on March 17, you may wish to plan the party on a nearby day to make it more convenient for your guests. The date you choose also depends on the type of party you plan. For example, a casual Irish dinner will be warmly welcomed on a Wednesday night, while a wild blowout with kegs of green beer is best saved for the weekend. Even if your party will be held on March 17, don't assume that all guests will know the date. Make sure you include it in the basic invitation information. You can plan to hold the party in your own home if it will be a reasonably small gathering. For a larger celebration, such as a party for an extended family or a larger Irish community, you may need to rent a local hall to accommodate everyone comfortably. Many bars and clubs also host their own St. Patrick's Day events with themed food and drinks, Irish musical performances, and other special features. Instead of recreating this atmosphere at home, you may want to gather your friends and head to one of these special events as a group. You should be able to find a few St. Patrick's invitation designs at local party stores. In addition, sites like Hoover Web Design offer a large selection of ideas and printable invitations. Add a touch of green glitter to homemade or printed invitations for some extra flair. Explore the idea of having a more specific St. Patrick's Day party theme. A breakfast or brunch party may fit into your schedule the best. Consider inviting friends for a pancake feast. Rainbow pancakes: Divide pancake batter into several bowls, and add a couple of drops of a different food coloring into each batch. Make the pancakes as usual, and serve these rainbow-colored pancakes to your guests along with any other food you want to include. 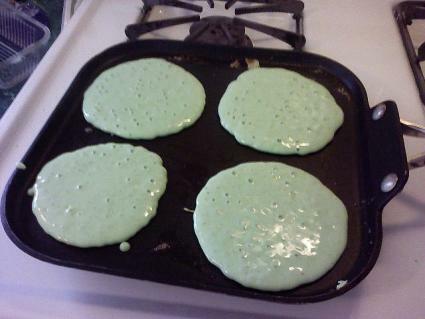 Green pancakes: Instead of using a variety of colors for a rainbow pancake party, simply add a little green food coloring to the batter to make Irish-themed pancakes. Lucky Charms pancakes: Serve any type of pancake, and top them with the Irish inspired marshmallow shapes found in Lucky Charms cereal. Potlucks take some of the pressure off the cook, namely you if you're doing it yourself. Main course and beverages: Plan to provide these yourself. Assign potluck dishes: When you send out your directions, ask specific guests to bring either a salad, side dish or dessert. That way you can ensure the meal is more balanced. 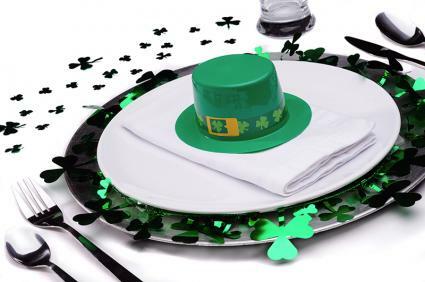 Include a theme contest: If you want to make the dinner even more fun, suggest they try to give their dishes some type of Irish theme, and tell them there will be a prize for the most creative one. The gift could be a green corsage, a six-pack of Irish beer if it's appropriate, or some other fun prize. Your guests will need a little luck of the Irish to gather these treasures. Follow the golden rocks: Send guests on a hunt for the pot of gold at the end of the rainbow. Make a path of gold-colored rocks from the main party area to where you have hidden your treasure. Paint a rainbow on poster board to hang above the prize. Ask guests to follow the trail to find the it. Spray paint a bucket gold and fill it with chocolate gold coins to share with all guests. Irish trivia treasure: Create trivia questions about Irish history and culture. Read the questions and have the guests write their answers using paper and pencils you provide, and award one point for every right answer. The person with the highest score at the end of the game should win a gold bucket filled with fun gifts. Pinata: Although smashing a pinata is not really an Irish tradition, it can still be a lot of fun for kids or adults. Make a pinata in the shape of a pot of gold, and fill it with gold-wrapped chocolate coins and other prizes. Let guests take turns having a whack at the pinata until someone manages to smash it open and release the prizes. Whether your party is for children, adults or a mix of both, dressing up like a leprechaun just adds more fun to the mix. Create a costume: In your invitations, ask everyone to try to come up with their own leprechaun costume, It can be pieced together from separate clothing, handmade or purchased, whichever they prefer. Choose a name: Ask guests to make up their leprechaun name, the sillier the better. Award a prize: Offer a specially-decorated green cupcake as a prize for the best costume. St. Patrick's Day is the perfect time to celebrate all things green, including the environment. Pick-up litter: Environmentally conscious friends may be happy to spend some of their holiday helping Mother Earth. Organize a litter pick-up party at a local park. Recycled paper products: Only use plates, bowls, cups and napkins that have been created from recycled materials. Awareness wall: Create a photo collage of Ireland, the United States, and other cities. Show the lush green grass and forests in the photos. Inform guests through a presentation or through written material about the importance of protecting trees and the environment to help preserve these lush green spaces. Use plenty of shamrocks and other St. Paddy's Day-related images and symbols to turn an ordinary space into a festive place for leprechauns to frolic. Rainbows are popular images in most St. Patrick Day celebrations. No matter which rainbow you choose to make, be sure to have a pot of gold at the end of it. Plastic table cloths: Buy plastic tablecloths in every color of the rainbow from a dollar or party store. Cut the cloths into strips, and hang them on the wall or from the ceiling to create an inexpensive rainbow. Paper chain: You can make an old-fashioned paper chain to create a rainbow effect. Cut colored paper into 1 x 8-inch strips. Gluing the ends of one strip together to form a loop or link. Continue adding more loops to the previous links until you have a rainbow-colored paper chain that's as long as you need it to be for the area you want to decorate. Streamers: Buy crepe paper streamers in the colors of the rainbow. Hang lengths of these streamers together across the ceiling from one corner to another corner to create a rainbow overhead. Shamrocks are one of the most recognizable St. Paddy's Day images. Wall decorations: A simple way to add a touch of Irish to the party room is to cut large shamrocks out of green-colored paper. Construction paper, scrapbook paper, or even green copy paper works well. Simply cut the shamrock shapes out of paper, and tape them to the wall. You could also punch a hole and hang them from the ceiling with green yarn or ribbon. Table decor: Scatter smaller paper shamrocks on your dinner table to create a festive look. You can also attach small shamrocks to craft sticks to create a bouquet, and place them all in a small green vase to help decorate the table. Edible decoration: Use a new, shamrock-shaped hole punch to cut out shamrocks from spinach leaves, but clean it with dish soap first. Use these edible shamrocks to decorate salads, or sprinkle them as a topping on other dishes. These little characters will bring a touch of whimsy to your St. Patrick's Day decor. Leprechaun footprints: Cut small, green footprints out of construction paper, and tape them throughout the party site as "leprechaun footprints." This is especially suitable for a children's party, but guests of all ages can enjoy this whimsical touch. Leprechaun house: It's fairly easy to build a cute house for a leprechaun. You could paint a shoe box green and decorate it appropriately, or you might choose to cut a small door shape out of cardboard, paint it green, and stick it to the base of a tree as if the tree was the leprechaun's house. Leprechaun posters: Draw and color images of leprechauns on large poster boards, and then cut them out and hang the images on the party venue wall. St. Patrick's Day party menus can include traditional Irish flavors, as well as foods that add a pinch of green to the party. 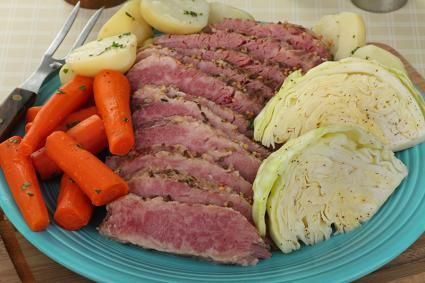 Corned beef and cabbage - This is the quintessential Irish dinner for this holiday. Add some carrots and potatoes, and you have a complete and satisfying meal. Irish soda bread - This simple-yet-hearty bread is easy to make and delicious. Irish stew - Tender lamb and vegetables in a savory broth make this dish irresistible. Lamb chops with leeks and potatoes - You can put this dish in the oven to bake while you finish decorating for the party. Scalloped potatoes - There are many ways to make this dish. You might even consider substituting corned beef in place of the traditional ham often used to add extra flavor. To add a festive flair to some everyday foods, a bit of green food coloring can instantly make certain foods recognizable as St. Patrick's Day treats. If you plan to serve alcoholic beverages, you can't get much more Irish than Bailey's and Guinness. For non-alcoholic drinks, choose lime powdered drink mixes and green punch. Every party should have a few activities to help entertain guests. The following activities are suitable for both children and adults. Celebrate Irish films by hosting an Irish movie night. Watch movies: Choose an Irish movie to watch with your guests. Children might enjoy Darby O'Gill and the Little People, while adults might enjoy a humorous film like Waking Ned Devine. Serve green popcorn: Put a drop or two of green food coloring into the popcorn oil before popping to create green popcorn. For children, you could sprinkle green-colored gelatin powder onto fresh popcorn and stir it up for a sweet green treat. Leprechaun awards: Create certificates on a word processor, print them on green paper, put leprechaun stickers on them, and award them to your guests. Make-up fun categories for adults such as "Guest with the Strongest Irish Heritage," "Actually Been to Ireland," and "Oldest Irish Person at This Party." For kids, create categories like, "Most Kissed Irish Kid," "Most Green Cupcakes Eaten," and "Wore the Most Green on St. Patrick's Day." You can hold an award ceremony after the movies. You don't have to know how to Irish Step Dance to enjoy the day. 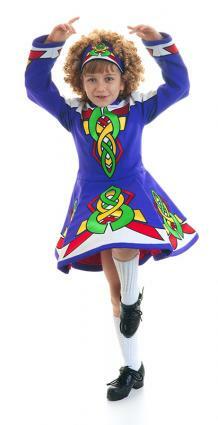 Hire a professional: Hire a professional Irish Step Dancer to perform for guests. Give a lesson: Hire a professional dancer to give your guests a lesson in Irish dancing. Play Irish music: Allow guests to enjoy Irish music and move in any way they want. St. Patrick's Day party ideas don't usually call for elaborate party favors, but a few small trinkets can provide guests with a fun way to remember the evening. Shamrock necklaces - You can find shamrock necklaces in styles similar to Mardi Gras beads at many party supply stores, such as Party City. Placing a string of shiny green beads around your guests' necks can be a great way to welcome them to your party. St. Patrick's Day buttons - Purchase buttons for your guests to wear. They can feature fun slogans like "Kiss Me I'm Irish" or cute images of leprechauns or shamrocks. Zazzle.com has a wide selection. 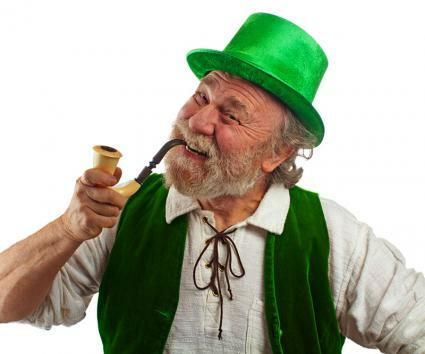 Green hats - Plastic bowler hats and fabric leprechaun hats are two popular choices. Look for shamrock accents and fun materials like sequined fabrics. You can usually find hats like these at your local dollar store or at an online retailer like Costume Supercenter.com. All of these favors can double as decorations if you spread them around the party space. Just encourage guests to pick them up and have fun with them. Along with good food and pleasant company, it's another way to share the spirit of St. Patrick's Day. There's really no set pattern for a St. Patrick's Day Party, so feel free to make use of any of these tips or come up with your ideas. Many communities hold parades and parties that can also be integrated into your own plans. If you decide to take advantage of them, they can make your celebration that much more festive.